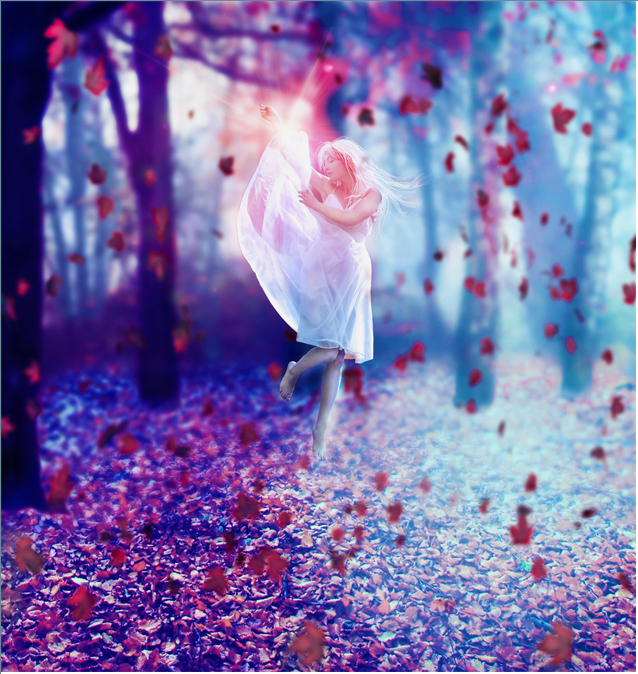 In this tutorial I’ll show you how to create a scene of an emotional dancer in a forest. You’ll learn how to combine and blend different stock photos in a cohesive scene, adjust color, use layer mask, manage lighting, work with group and more. We’ll start this tutorial by creating an autumn forest scene from two stock photos. Then we’ll adjust color, shade and light as well as make a dreamy effect. Later we’ll add the model and do some retouch to match her with the scene. After that we’ll use two stocks to create lighting effect. Finally we’ll use some adjustment layers to boost the final result. You’ll need Photoshop CS3 or newer to follow this tutorial. I’m only new to composites and just came across this by a fluke. Just what I was looking for to learn and practice. hi!could you tell me how to extract a model from its original photo? Thanks. Your tutorial is great as well as the other is. Keep going. But you didn’t say how you removed the model from it’s original background!!! !